I'm a self confessed Instagram addict - follow me here! - and so I thought I'd dedicate today's post to my favourite photo editing apps! I use quite a few for different reasons so I thought I'd share my faves today. Facetune - This might be a bit of a controversial one as I know people can look way too photoshopped on Instagram but used in the right way, Facetune can make your pictures 1000x better. I generally use it to highlight details in my makeup (like eye makeup, for example) and slightly smooth out my skin. My camera literally catches every little detail so sometimes I need to tone it down a bit! I also use Facetune to whiten backgrounds of my flatlays to make them super white and take any yellow tones out of it. Layout - This is a handy app if you like to do any sort of collages. I sometimes like to post a makeup picture with 2 images on, so I use Layout to set it all out and it allows you tones of different setups/ratios so you can get the type of collage you want! Afterlight - I pretty much just use Afterlight to change brightness and contrast in my pictures! Upping the brightness and the contrast on my makeup pictures can make a huge difference. A little definitely goes a long way though, so I just play around with the levels until I'm happy. VSCO - I did used to have VSCO to give me an idea of how my Instagram grid will look, however since the update it's lost that advantage sadly! I do still use it to add filters on sometimes - they have some really nice ones that just add a nice tint to images. UNUM - UNUM is kind of the new VSCO as it helps to layout your Instagram grid. Not one for everyone I know, but it's great if you like your grid to look pretty or you have a colour theme! 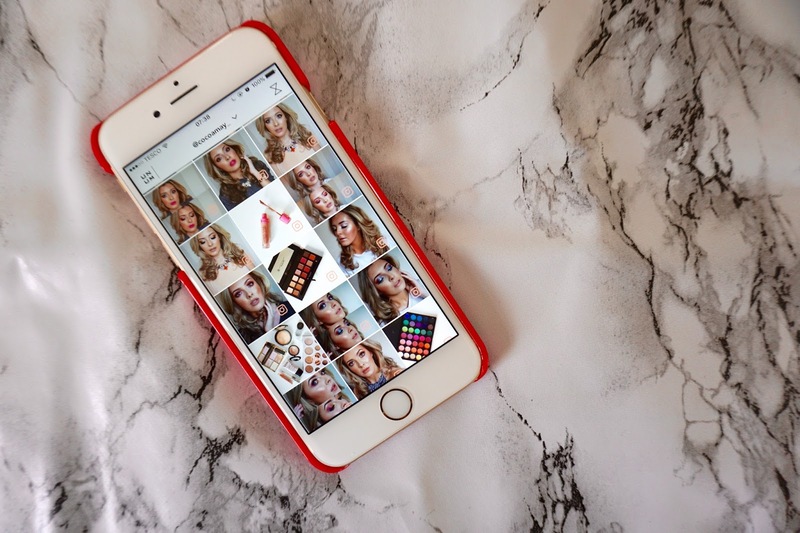 So, they are my top 5 photo editing apps for Instagram! I don't use every single one for every picture but they are definitely my go-tos. What are your favourite apps for Instagram editing? Let me know in the comments!